STRIKE A POSE… Jenny and Gerry posing with a bear at Yaraslavi. 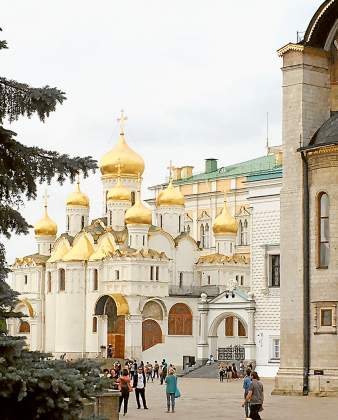 GLITTERING GOLD… The cathedral inside the Kremlin in Moscow with its gold onion dome towers. 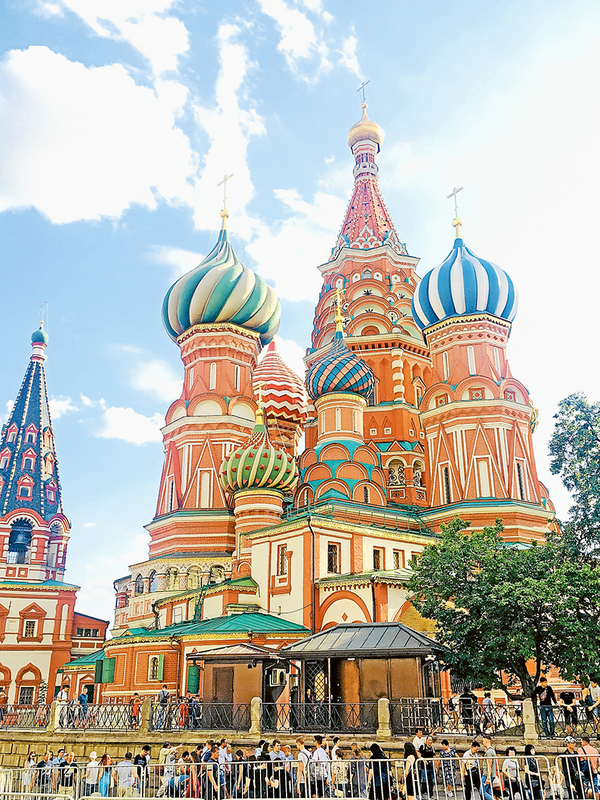 STUNNING EXTERIOR… The stunning exterior of St Basils in the Red Square Moscow. 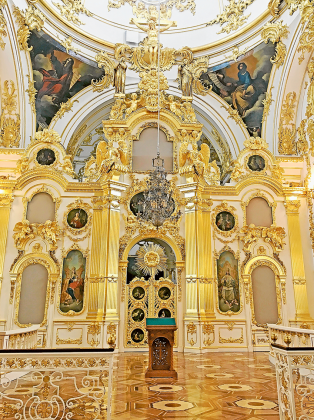 STUNING INTERIOR… The stunning interior of the Hermitage in St Petersburg. 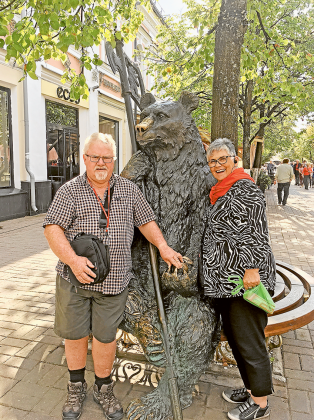 THIS was to be a holiday to remember for Jenny and Gerry Goonan; a chance to catch up with family, renew old friendship and discover Russian history on a cruise along the Volga River. It all started in the Philippines where Jenny and Gerry caught up with family. Their son, Mathew and grandchildren, Sarah, 10, and Isabel, 8, live there so it was a chance to spend their days sightseeing and swimming with the grandkids. Next they were off to the UK. 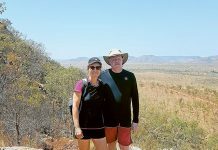 Jenny and Gerry had lived in England for 12 months in 1999 so this was an opportunity to renew old friendships. It was hot. There had been no rain for so long that Hyde Park was brown but they took time to revisit some major attractions. Next they made their way to Newcastle to seek out family history from the church where family had married, to the graveyard where they were buried. Then onto Glasgow where they hired a car and drove to Loch Lomond, then headed to Fort William with its many locks and visiting old castles and other attractions along the way. At Falkirk they saw the huge wheel that lifts boats from the lower waterway up 100 metres to the next canal so they can continue on their way. Gerry says it’s an incredible piece of engineering and tourists arrive on busses so they can board a boat to experience the journey on the wheel 100 metres up and back down again. They now made their way to Edinburgh for a night before flying to Helsinki where they joined a Viking Cruise to Moscow. They had three days exploring Helsinki staying in a luxury hotel as guests of Viking Cruises, then a fast train to St Petersburg where they would sail on the Volar River to Moscow. In St Petersburg they stayed on their cruise ship from where they explored the city. 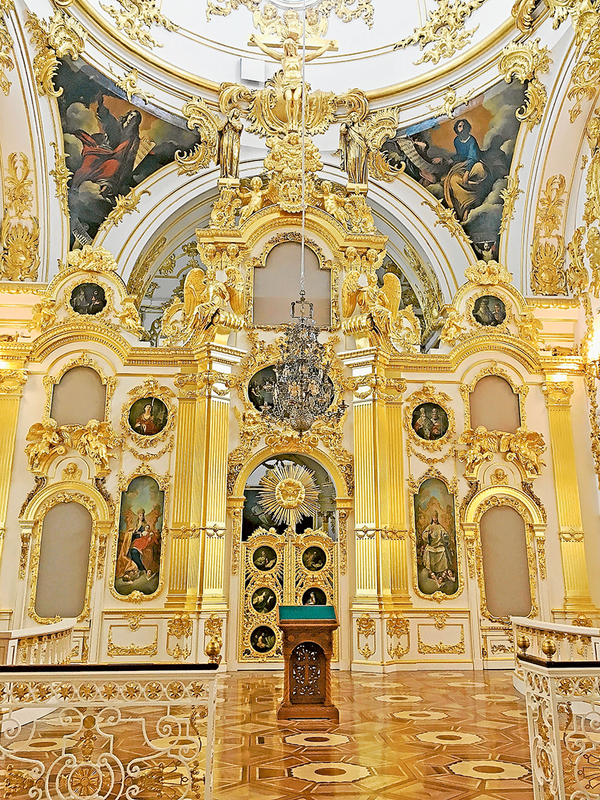 They visited the Hermitage Museum with its grand collection of fabulous works of art and displays. They saw Catherine the Great’s palace with its grand mirrored halls and the Amber Room and even went to the ballet to see Swan Lake. They now set sail for Moscow. Their ship was magnificent with only 200 passengers. 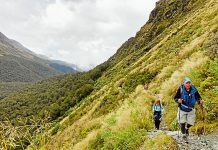 The accommodation, the staff, the food and the entertainment were all five star. As they sailed along there were lectures on Russian History and at each stop along the way a visit to historic onion domed churches and log cabins used by the early Russians peasants. They passed through some 27 locks during the journey and crossed Lake Ladoga, which is so big it’s like an inland sea with weather to match. On arrival in Moscow their ship again became their stationary home for the three days. They had to explore the city and they saw the Red Square, St Basils Church and of course no visit to Moscow would be complete without seeing the Kremlin. The walled city contains many magnificent buildings, from where Ivan the Terrible ruled to today where Putin has his offices of command. Jenny and Gerry loved the history and the feel of Moscow. At the end of their three days it was time to fly home but not without a two day stopover in Singapore. Their seven weeks away have given them some wonderful experiences and memories. Jenny and Gerry would like to thank Lauren of Lyn McNaught Travel in Mooroopna for arranging everything.